The creation of smart biotechnologies is a ground-breaking approach to regenerative medicine that has captured the attention of the scientific world. Researchers are now regenerating organs in the lab with the aim of eventually transplanting them into patients – and curing diseases rather than merely treating them. TAU endeavors in the field will now be coordinated under the single framework of the new Sagol Center for Smart Biotechnologies. Scientists at the Center are engineering a new generation of biomaterials that can be used to regenerate diseased organs and body parts such as the heart, brain, spinal cord, bone, tendons, cartilage and eyes. In the long-term, they will advance biomedical technologies that reduce suffering and prolong life. Sagol thanked President Klafter for listening to his dreams and reiterated his confidence that the University would make the new Center “shine like a diamond. May G-d help us regenerate and rejuvenate ourselves,” he concluded. With the Sagol family’s support, the Center will recruit bright young scientists, award scholarships to top students and provide vital laboratory and other resources. Participants at the ceremony heard four presentations related to the new Center . Prof. Dvir, of the Department of Biotechnology and Department of Materials Science and Engineering, described the types of pioneering research that will be pursued at the Center, and thanked the Sagol family for their generous support. Prof. Yael Hanein, an electrical engineer and Head of TAU’s Center for Nanoscience and Nanotechnology, spoke on what can be achieved by integrating electronics with living cells, especially in the field of vision. Prof. Yuval Ebenstein of the Raymond and Beverly Sackler School of Chemistry, Raymond and Beverly Sackler Faculty of Exact Sciences, discussed his futuristic research on epigenetics, the study of potentially heritable changes in gene expression that do not involve changes to the underlying DNA or, in other words, the study of the biological mechanisms that switch genes on and off. Dr. Lihi Adler-Abramovich of the Department of Oral Biology, Maurice and Gabriela Goldschleger School of Dental Medicine, discussed her lab work on new smart materials inspired by nature. She is focusing on scaffolding for bone tissue regeneration and nanomaterials for the treatment of osteoarthritis. 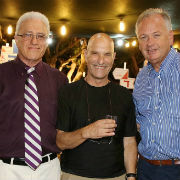 The new Center is the latest in a string of Sagol family donations to Tel Aviv University over the past 25 years. Their gifts have ranged from support for TAU’s schools of music and economics, the donation of scholarships, and the family’s visionary establishment of the Sagol School of Neuroscience six years ago. 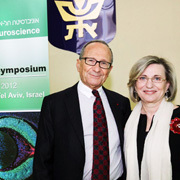 The School serves as the coordinating framework for all TAU teaching and research in the brain sciences, fostering collaboration among 120 research groups from the Faculties of Life Sciences, Medicine, Social Sciences, Exact Sciences and Engineering, as well as clinicians working at 17 affiliated medical centers. “Now, with the new Center, the Sagol family is once again supporting TAU in a pioneering and ambitious initiative,” said Prof. Klafter. 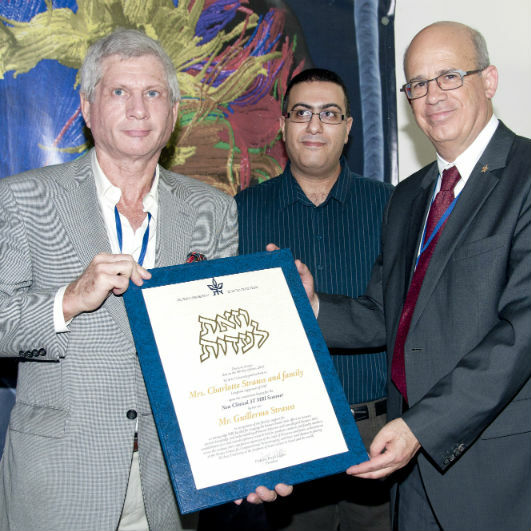 Attending the ceremony were members of the Sagol family including Sami’s brother, Yitzhak Sagol; Prof. Uri Ashery, head of the Sagol School of Neuroscience; TAU benefactor Morris Kahn who recently established a $4 million 3D Cancer Printing Initiative at TAU’s medical faculty; and senior TAU officials.